Truckmakers are wooing transporters with steep discounts and attractive finance schemes in a bid to clear stock ahead of a regulatory change that makes it mandatory for all new commercial vehicles to have air blowers (for better ventilation in the cabin) as a standard fitment from January 1. The additional feature will prompt firms to hike prices. 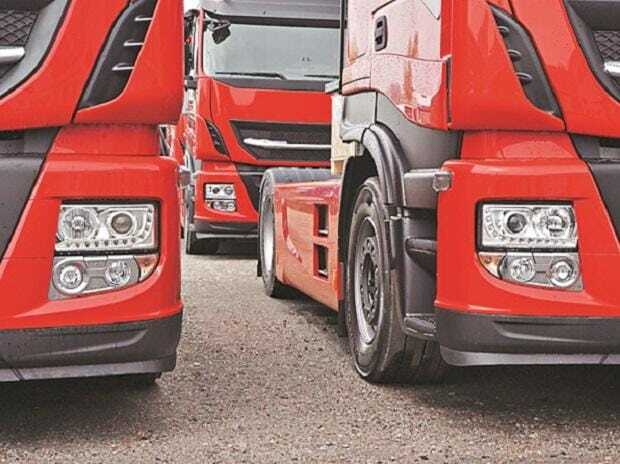 With demand being led by the operators which have their vehicles running on contract and not by the cargo segment, which deploys the bulk of the trucks, this trend could create overcapacity, warned analysts. A heightened slugfest for market share between Tata Motors and Ashok Leyland in the last quarter of the calendar year has only intensified the trend. Over the past two years, markdowns have become a norm in the truck market, which tend to peak in December. However, this year discounts are as high as 15-20 per cent on heavy-duty trucks, said transporters and analysts. Fleet operators are making the most of the bounty. Take Mumbai-based Caravan Roadways Pvt Ltd, for instance. It bought 40 heavy-duty trucks from Ashok Leyland last month at an average discount of 15 per cent. N L Gupta, the firm’s managing director, said even as there had not been a let-up in the cargo segment, transporters like him were buying to beat the price hike from January. Transporters are also riding on the hope of a major pick-up across all sectors, including infrastructure, road construction, and mining, after the Budget presentation. Easy finance has also helped. “Banks are flush with funds. They are offering 100 per cent finance even for building the body over the chassis,” he said. Buyers like Gupta have boosted sales of heavy trucks. 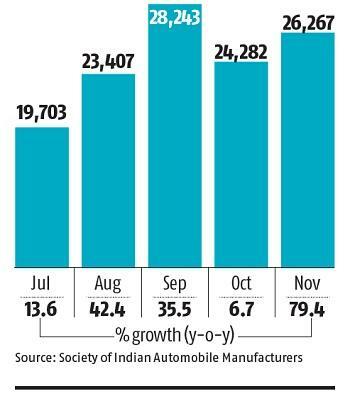 Sales of such vehicles, a barometer of economic activity, have risen in seven out of eight months over the year-ago period. It rose 7 per cent year-on-year to 161,774 units for the April-November 2017 period, according to industry body Society of Indian Automobile Manufacturers (Siam). Balmalkit Singh, proprietor of Bal Road Lines, has been negotiating with Tata Motors for a discount of 17-18 per cent to buy 20 vehicles of 49-tonne with an average price of Rs 30 lakh. Singh said most of it was replacement demand as eight-year-old vehicles in his 370-strong fleet deployed by corporates and public sector undertakings needed to be phased out. Interestingly, while both Tata Motors and Ashok Leyland together control more than 70 per cent of the truck market, they are not forthcoming on the ongoing discounts. “While discounting in the market has recently increased, we at Tata Motors do not believe in buying market share by offering steep discounts,” said a Tata Motors spokesperson in an email response. “We as an industry need to work towards carefully controlling discounts in the interest of the automotive environment as a whole,” he added, pointing out that the recent business turnaround at Tata Motors had been on the back of its strong product portfolio and enhanced customer engagement. “Going forward, we will continue to improve and upgrade our products, while providing our customers with superior value and comfort.” A spokesperson for Ashok Leyland echoed similar sentiment. “As a policy, we don’t believe in discounting our products, and this is evident from our double-digit EBIDTA (earnings before interest, depreciation and tax) in the last quarter. We are possibly the only company that has increased the prices by 1-2 per cent in October for BS IV vehicles,” he said. SP Singh, senior fellow at New Delhi-based think-tank Indian Foundation of Transport Research and Training, said, “It’s a critical situation as demand from the cargo segment that drives the bulk of the trucking industry continues to be very subdued.” “Seven out of 10 trucks that ply on Indian roads are not bound by contracts and, therefore, rely on the cargo available in the open market. Therefore, if the economy doesn’t pick up further in the last quarter of the fiscal, all the buying seen now will create overcapacity,” he said. Growth in India’s eight core sectors slowed to 4.7 per cent in October, chiefly due to subdued performance of cement, steel and refinery segments. These sectors had clocked a growth rate of 7.1 per cent in the year-ago period. Shaking off the lingering effects of the note ban and the roll-out of goods and services tax, India’s GDP grew 6.3 per cent in the September quarter.